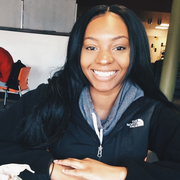 I’m 20 years old and currently a full-time student and live on campus at Southern Connecticut State University located in New Haven, CT. I have had various babysitting jobs since I was 16 years old. When I was 17 I completed an internship as a teacher’s assistant for a first grade class. During that internship I assisted the teacher with lessons. taught my own lessons, and just got to know the students better. Right now I occasionally babysit for a family when I am home for some weekends or on break. Natasha doesn't have any reviews yet.